Did you ever wonder about the homes in your neighborhood that never put their porch light on, never pass out candy, have no Halloween decorations and all their windows and blinds are tightly closed? It’s possible that those behind the triple-locked doors are suffering through Samhainophobia (pronounced Sow-wen-ophobia - "Samhain" is an ancient celtic word). 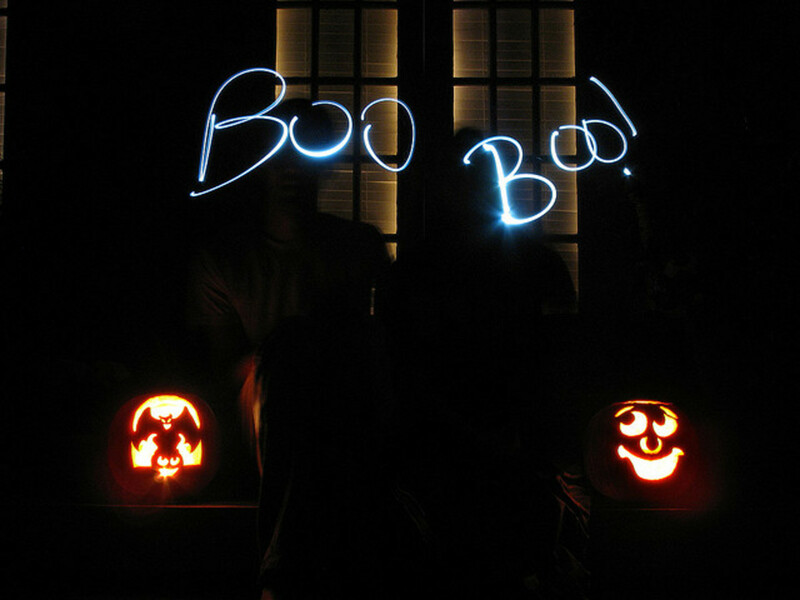 Easily described, Samhainophobia is a fear of Halloween. Simple references to Halloween rituals cause panic. Even the buildup of advertising and decorations prior to October 31 causes anxiety in those with Samhainophobia. And it gets worse as the date gets closer. A phobia is an extreme or irrational fear of or aversion to something. Therefore, anyone with Samhainophobia will do whatever it takes to avoid anything that has to do with Halloween. Other Phobias Common During the "Halloween Season"
What are the Symptoms of Samhainophobia? A child is supposed to enjoy Halloween “just like everyone else.” Therefore, a child with symptoms of Samhainophobia is much more likely to be made fun of by their peers. Because of this, it can be even more devastating and difficult to overcome. 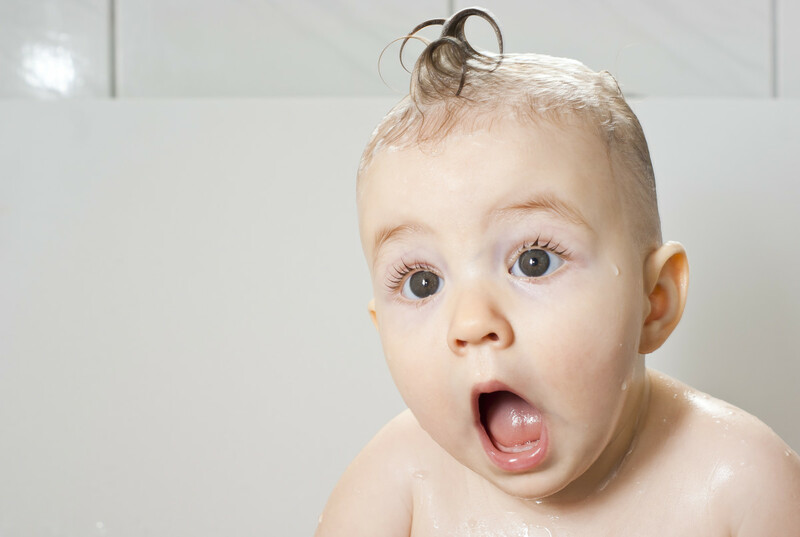 Young children can be scared very easily, especially by things they do not understand. Their fears are real. They should never be laughed at or dismissed. 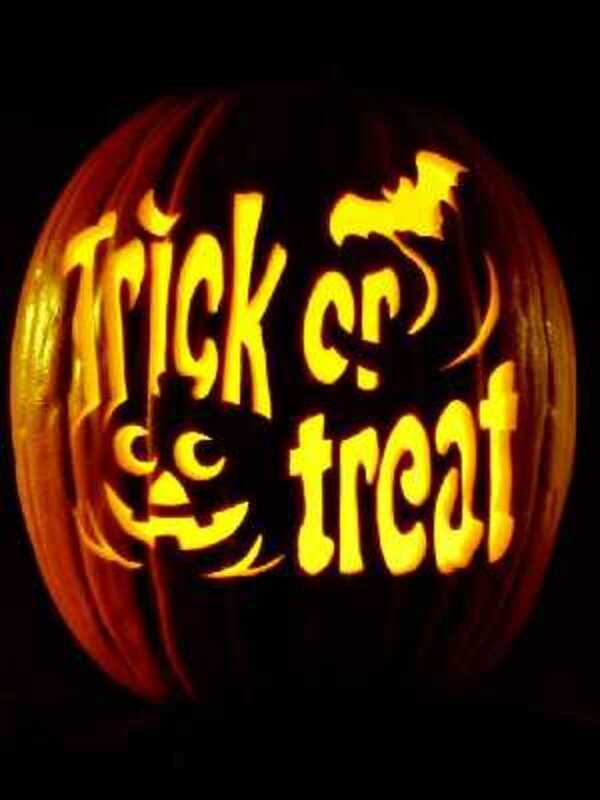 Children need to be told and reassured about all the things related to Halloween that seem scary but are just for fun. What are the Causes of Samhainophobia? If Halloween scares you, then you are definitely not alone, even though there is some debate as to whether or not Samhainophobia truly exists and causes distress that is genuine to its sufferers. But, anyone who has ever had a panic attack understands that the fear and symptoms are real. There is no debate. Because our mind is incredibly powerful, a phobia such as Samhainophobia can be so alarming that the victim becomes incapacitated. Phobias commonly arise from a combination of heredity (internal genetics) and real-life traumatic events (external factors). It is possible that Samhainophobia can be traced back to a specific traumatic event that triggered this phobia at an early age. For some people, it may be brought out by other fears such as Sociophobia (fear of people) or Pedophobia (fear of children). If any of my close friends or family read this, they may be surprised to know that I do not like Halloween. I’m not sure what really prompted me to write this article. I can tell you that it was a big trigger for me as my own personal thoughts about Halloween definitely came into play. I believe that I went along with the tradition of Halloween as a child because it was what every kid did. But as an adult, the fact is that I do not like Halloween and am kind of afraid of it too. Why? I’m honestly not sure but if I figure it out, I will definitely let you know. My mother loved Halloween. We had a huge picture window on the front of our house. Every year she would paint a different Halloween picture over the entire window. She would place a stereo speaker near the front door and play scary music really loud. Most of the lights would be shut off in the house making it even spookier. I remember changing bulbs in the lamps to black lights. Mom would cover herself in a bed sheet and a scary face mask waiting for the next kids to come running up our steps. Everyone loved coming to our house. And mom loved seeing all the kids dressed up. Decades later, some still talk about it. Did this affect me? I really don’t think so. I was never ever afraid of my mom, not even on Halloween. Additionally, vivid pictures still come to mind of my next door neighbor Paul and his son John dressing up in scary costumes on Halloween. The dad would hide around the house and jump out when you would approach their front steps. The son would sit, very still, in a chair in the middle of the front lawn, dressed as a scarecrow or “dummy.” Everyone walking by would assume it was a “stuffed” decoration until John started chasing us down the street. My screams were louder than their blaring scary music. Did this affect me? I believe so, to a certain extent. I remember as a young child being forced by friends to go through haunted houses. This terrified me to tears. As I got into high school and friends were planning their annual visits to haunted houses, I would force myself to go with them in fear of being "different." But I always felt sick. I always hated it. I always panicked. Did this affect me? Absolutely. When I was a very young adult, my grandfather passed away on Halloween. Did this affect me and add to my fear? I’m not sure. I don’t like passing out candy, never did. I have, but I don’t like it. I guess, somehow, I am afraid of who will “surprise ME” when I open the door. Even as an adult, I can remember feeling fearful of the approaching “trick or treat” time. If I was driving my car during that time span, I felt extremely cautious. And I always felt relieved when it was time for people to shut the porch lights off. When someone is covered in a full costume where you have no idea who is underneath, that freaks me out. I can’t help it. I don’t like the guessing game. I do feel panic because it is just plain creepy to me. To this day, I am always glad when Halloween is over. Do I have Samhainophobia? I’m not positive. But I’m leaning toward “yes” because as I am writing, I am feeling a little nauseous, clammy, itchy and whole lot of fear. And I am not joking! Do you have a fear of Halloween? If the effects of Samhainophobia are extremely bothersome and devastating, speaking with a medical professional is recommended. Trying to avoid the triggers that cause this phobia can ease the symptoms although treatments such as counseling, hypnotherapy or psychotherapy may be encouraged. Medications, such as those for anxiety, could possibly be prescribed. But keep in mind that these medicines are intended to suppress the symptoms, not cure them. Samhainophobia is not a joke. If you know of someone who has a fear of Halloween, please do not make fun of them. There are probably much deeper reasons for their irrational fear that are not easily explained or understood. Awwww thanks for your support Martie! Hope all is well with you! Hi Mo ~ I don't have any brothers that scared me but I did have male neighbors that really like to have "fun" on Halloween and scare everyone that came to their house. Thanks so much for your feedback and sharing this article too!!! Hello truthfornow ~ A lot of people have never heard of this but it is real. I don't like horror movies either. Many years ago I went to the theater to see Friday the 13th. That movie haunted me for months. Still bothers me if I see that it's on television. Thanks so much for your comments. I'm a total scardy cat! I grew up with four older brothers and they LOVED to terrorize me. I get more than a bit anxious during Halloween but I do enjoy giving out candy. Great info! I have never heard of this fear. Some people I know don't participate for religious reasons. I don't participate anymore. Though, I do like buying bags of candy. No trick or treaters where I live. It has become too dangerous and more and more people aren't allowing their kids to go. I do have a fear of haunted houses and would never ever go to one. I hate the idea of people jumping out at you, but I don't mind horror movies. So, go figure. What a shame to have this fear. I wonder if it boils down to fearing the unexpected? I don't like frogs and toads mainly because they jump. I almost have a fear of walking in long grass when we are exploring because of the dread that something (frogs and toads mainly) will jump out - or that I will accidentally step on one of them which I think I actually did do once. If I let it happen I could have a phobia about walking in long grass. I do tend to overthink and over imagine. Hi Mythbuster ~ thank you for your very insightful comment. It is strange that we constantly tell our kids to stay away from strangers yet on Halloween, that is exactly what we tell/let them do. Thank you for stopping by. Great article. I'll bet a whole ton of people suffer with samhainophobia but don't ever say anything. Thanks for sharing information and experiences here. Again, I'll bet a lot of people can relate to the details from your personal (mostly bad) experiences of the Hallowe'en celebration that comes around once a year. I think a LOT of kids are actually frightened by things going on at Hallowe'en but there's peer pressure to do what everyone else is doing. A lot of planning goes into the "mock-holiday," so I think that acts like "foot-in-the-door" technique (give a little/agree to a little and can't back out when the environment becomes more severe and uncomfortable). I like the idea of neighbourhood get-togethers, community centre events for families, kids, on Hallowe'en night. Door-to-door stuff, strangers, masks... on any other day we'd be RIGHT to be afraid! Hi Susan ~ I have a hard time believing that you "stink" at Halloween. You are quite creative and really funny too! Hi Cousins ~ I totally understand how you feel. I also fear that something bad is going to happen on Halloween. I worry about things like kids being hit by a car and stuff like that. Thank you all for stopping by and leaving such great comments!!! I don't know if I have a phobia, but I became "afraid" of Halloween when I was living alone and would not open the door to trick-or-treaters. I do treat now, but I always worry on Halloween about something bad happening to children. Voted up and interesting. Very interesting hub, Sharon. I really enjoyed it. :) Up and across...sharing. Happy Halloween to you. Hi Flourish ~ ha ha, thanks for all the details! Sounds like you have a blast. I don't feel as "afraid" as I used to. Sharyn, I love your story but feel bad for scared little Sharyn being chased down the street. Now I feel a little guilty for putting the scary things out on my porch like the bucket of running blood (complete with running faucet), the six foot tall grim reaper, life-sized skeletons that glow in the dark, and my three black cats who safely hang out with me on Halloween and pass out candy. We have so much fun but there's always the kids or adults (!!) who are genuinely frightened. Voted up and more! Hi Vinaya ~ I apologize for not responding sooner but I am not receiving my notifications. Thank you so much for stopping by to read and comment. Halloween is not a part of our culture, but we do have a festival similar to Halloween. I learned something knew from this hub. Thanks for sharing. Although I'll never forget that my Grandpa died on Halloween, I really think the thing that has "haunted" me the most was my neighbors. Of course they were scaring us out of fun but . . . I'm so glad you stopped by! Thank you for the follow and fan mail as well. Wow, I knew some people feared Halloween (mainly for religious reasons, Christians fearing it was Satanic or that Pagans/witches were attacking people). But I didn't know there was a word for it, or a condition. I would say I believe it totally exists... I can understand how not liking the costumes & haunted houses & scary surprises could make you uncomfortable, just like some people fear clowns/fun houses, or dolls, or the unknown in general. I'm sure your grandfather's death did not help at all. Wonderful article, VU & very interesting. Hi Richard ~ Wow, what a story. You are really lucky. Heck yeah I'd have a fear of wire clotheslines too. Wonder if there is a phobia name for that, ha? Thanks so much for sharing your great story in a way that only you can:) I appreciate you stopping by! Hi Paula ~ I am so happy to be able to teach you a new word :) Thank you so much for your feedback. No trick or treating for me! Hi Mary ~ Oh, I don't like bees (or wasps) either. I'm sure there is a phobia name for that too! I agree that as we learn about other phobias and fears, it helps us understand others better. Thank you so much for your feedback and votes. Sharon, I have no fear of Halloween. I almost died one Halloween, but I have no fear. We were throwing corn at cars (called corning back then in the corn country of Indiana) in a small town. After throwing our corn, a car stopped and two police officers got out quickly of their unmarked vehicle. We took off, running through backyards to escape. Back then, there were a lot of backyard clotheslines. Some were a rope style and others metal wire. Not seeing it in the darkness, my neck met the wire and my feet kept going ... up in the air. I landed on my back and crawled into a cinder block trash burner to escape the chasing police. As they ran by, I suddenly realized that the fall had knocked the wind out of me, and I couldn't breathe. Finally, I was able to get the wind back, and ended up the next day with a nice bruise across the front of my neck. But, I don't fear Halloween, just wire clotheslines! : ) Great Hub! There are so many fears suffered by so many people. I'm afraid of bees so I understand. I didn't realize there was a name for fear of Halloween so I found this very useful. The more we learn about other's fears the more understanding we become. Great job Sharyn! Hello collinmoore ~ a lot of people are surprised and never heard of this phobia. Thank you for your sweet and sensitive comments. Very much appreciated. And a big Happy Birthday to you! Hiya Eddy ~ great to see you! Thank you so much for stopping by. Hope you enjoyed your weekend as well. Hello Relationshipc ~ Yes, I still do have a cautionary feeling if I am driving during trick or treat time. Of course, I am nervous and don't want any kids to run out in the street. But also, it is just the atmosphere, that feeling of not being sure what is going to jump out at you. My thoughts/feelings are not at all debilitating. But they are there and they are real. I'm glad you enjoyed this article. Thanks for stopping by. Hi Sharyn, this was a great article to read. I was completely surprised that there was a difference between simply not liking Halloween, and taking it like a serious fear. Halloween is actually one of my favorite times of the year; it's the day after my birthday. While I do plan to enjoy myself on Halloween, I also hope that those who suffer with Samhainophobia stay safe. So while i'm out rocking my costumes, I hope those who are far more sensitive to the 31st find comfort at home, if they feel they're not ready to come out yet. Good luck this year. I had never heard of this before and thank you for sharing . So you said in one point that "If I was driving my car during that time span, I felt extremely cautious. And I always felt relieved when it was time for people to shut the porch lights off." You are speaking in past tense, so do you not have the cautionary feeling during driving anymore? And were you scared of hitting kids or just the atmosphere? Very cool article, thanks for sharing your fear. Hi Gypsy Rose Lee ~ I don't think my fear is that intense that I would want to move. But I'm sure that stinks that you enjoy Halloween so much but really can't celebrate it like you would want to where you live. I hope you at least enjoy carving your pumpkin and watching movies :) Thanks so much for your feedback and for sharing this. And thank you for the follow too. Voted up and interesting. We must exchange place that is if you wouldn't mind living in Riga, Latvia. I absolutely love Halloween. Here there is little to remind people about Halloween it just never had gained popularity. You can celebrate in bars, schools have Halloween parties and you can make your own party but that's it. You can also ignore it and never know it's Halloween. I miss all the hype so I carve a pumpkin every Halloween and watch Halloween movies on my PC. Passing this on. Hello nanderson500 ~ thank you for the compliments and votes. Very much appreciated. Hi BlissfulWriter ~ I am happy to hear you will add this word to your neat "collection." Thanks so much for stopping by. Hi CC ~ Now spiders is not something I am fearful of. I don't like them but I don't freak out. I hope no one ever does what you described to you, that is not funny. But I am extremely fearful of bees or wasps and I have absolutely had situations where there was a bee in the car while driving that turned into a very dangerous situation. Ewwww. Thanks so much for your feedback. Hello Deepak ~ You are welcome. For me, it's interesting to learn of places that do not know much about Halloween celebrations such as India. Thank you so much for your votes and share. Hi Maria ~ it really is the same concept as you describe. By the way, I don't like clowns either :( Thanks so much for always stopping by. Sending big hugs! Hi Lela ~ well, thanks for the BOO, ha. Yep, irrational fears. The banana one is difficult to understand but phobia's like that are all around us. And don't you dare send Kelly gummy worms, she may unfriend you for life :) Thanks so much for stopping by. Hi StephanieB ~ Thank you so much for reading and commenting. I could see the term used for teaching root words. Cool. Hi Audrey ~ you are welcome. Thanks so much for stopping by to read and comment. Hi Justin ~ Thank you so much for linking this to your hub on emetophobia. I briefly looked at it and will read more, it's quite interesting and something I never heard of. I appreciate the shares on Facebook too. Thank you Justin. This is very interesting, I hadn't heard of this before. You've done a good job explaining it. Voted up. Hi Gail ~ Of course, my neighbors were just trying to have fun. And all these years later, those years are still talked about. But it did affect me. And you are right. The negative mischief that tends to go along with Halloween can be frightening. Thank you so much for all the votes and shares. Very much appreciated! That is an interesting new phobia word that I just learned. I have to start collecting such words. Hi Brenda ~ So many people have never heard of this phobia. Gosh, I feel sad that your son is feeling that way. He could really be scared of Halloween. I hope you and your son enjoy the holiday in your own way. I'm sure you will make it fun and not scary. Maybe he just needs a "break" this year. Thank you for your feedback and good luck! Hi Kelly ~ Well, there is nothing wrong with having a fear of worms. People fear so many different things and to me, there is no right or wrong, it just is. See, you were chased with worms. I was chased by someone dressed up on Halloween. There are certain fears that just stay with us. I'm assuming then, that you do not like gummy worms? Just wonderin' - thanks for your fun feedback! Hi Scott ~ Since Halloween is your favorite holiday, I am glad you do not suffer from this phobia. Thank you for your comment and votes. Interesting. I never knew there was such a fear. I suspect its roots have the same origin as fear of spiders and other fears. OMG, I wish I could NOT fear spiders. If someone threw a bucket of fake spiders at me on Halloween or something, I think I would have spastic, uncontrolled convulsions until I realized they weren't real. I've even nearly swerved the car when I had a bug crawling on me and I started wigging out. It's all so interesting. 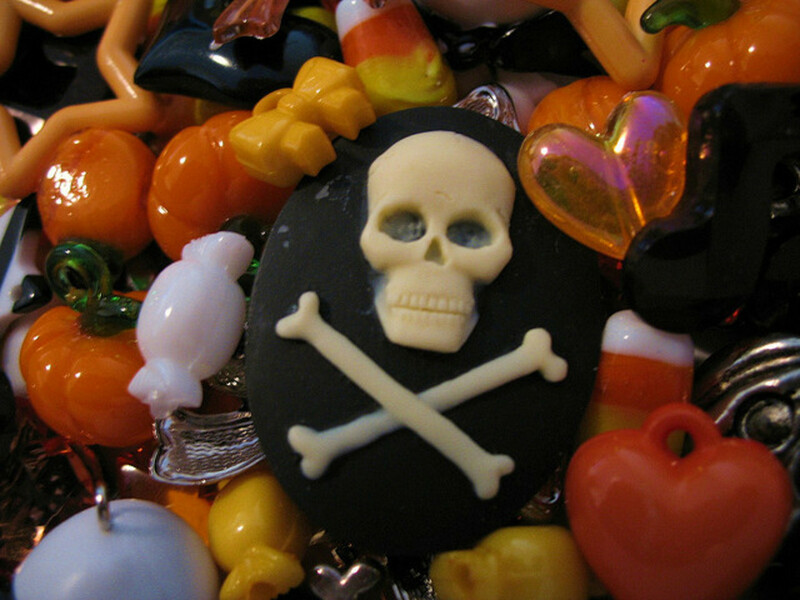 Thanks to share this hub about a new kind of phobia related to Halloween. here in India people not know much about Halloween.voted it up interesting and shared. Hello That Grrl ~ I agree, this phobia does make sense. It's not one that is difficult to understand. Thanks so much for stopping by. Hi Dr. BJ ~ I do believe my fears mainly stem from the neighbors "Halloween tradition" and haunted houses. And sure, I have no control in knowing who is under a well covered costume. I'd rather be in control, ha. Thanks so much for your feedback. Hi Stephanie ~ It does seem that is a common trend, i.e., that many people have never even thought about a fear of Halloween. I do think it can be extremely painful for many. For me, I wouldn't call it "pain" but definitely discomfort. Thank you so much for stopping by to read and comment. Hi Suzette ~ Definitely, it comes down to really disliking being frightened. And fun houses at carnivals, oh, I don't know that I ever made it through one. I remember trying and then crying. It really is weird how I feel about the whole Halloween thing. It is more like there are certain aspects that really haunt me and others don't bother me at all. 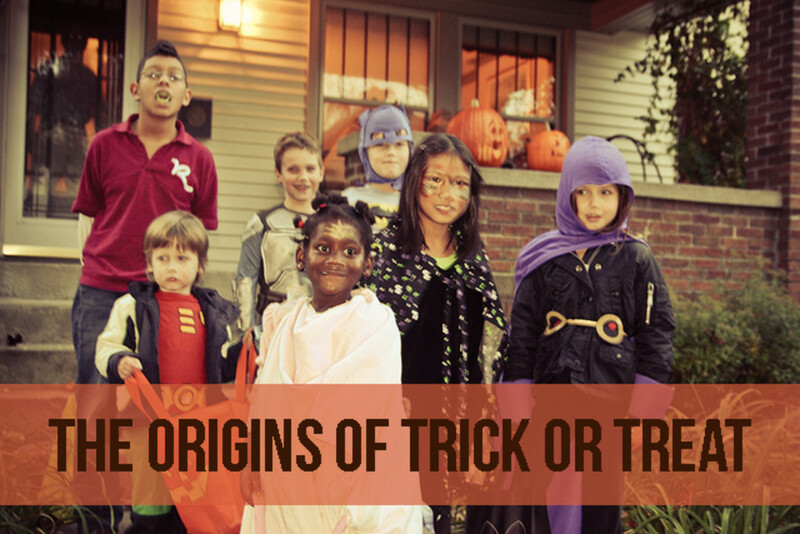 For so many years I was part of my nieces and nephews "trick or treating" days. I always wanted to be with them and see their costumes. So the "fear" that I have felt subsided at times because of my love of being with the little kids. But I was always very protective over them. I didn't want them to be scared unnecessarily. And I'm sure I was constantly yelling to them to stay near me. Anyway, thank you so much for your kind feedback. Hi Tammy ~ I have read your work on the phobia that troubles you and I really feel for you. And it is so interesting what you shared about your brother. I don't like clowns either. I actually think I "hate" clowns more than Halloween. But here's your brother who is a strong, tough marine and yet has such a difficult time with clowns. No doubt what happened in childhood was the main reason. Thank you for sharing such interesting feedback. Hi Simey ~ yeah, Halloween has gotten quite commercial now. But I don't think you have the "fear" just because it's not one of your favorite holidays, ha. Thanks for stopping by. Hello DzyMsLizzy ~ Sounds like you had a blast with your kids on Halloween. And you still continued the same tradition at your daughter's house. So you were the "dummy on the bench" ha. Maybe you can still have more Halloween fun when your great grand kids come along? I did add the pronunciation of the phobia to the hub, thank you very much. Hi Ruchira ~ thank you for the compliments. Cool that you had your child read this too. I love children so I am not "freaked out" by kids in costumes at all. But I agree that really scary outfits can change that. I appreciate your feedback and sharing too. An informative and insightful share...wow, it makes perfect sense and I had never considered this. I have known people afraid of clowns...same concept with the anxiety associated with family trips to carnivals and circuses. Hi Dan ~ sure, little ones can be scared very easily. I love how you said "carrying, hugs, etc." And I do think it can be a lot of fun for grandparents if their grand kids live close enough to celebrate with them. My mom always enjoyed Halloween with her grand kids. My sisters had to make the rounds every year with the little ones to make sure all the grandparents got to see the kids dressed up. Thanks for your feedback Dan. Hi Bev ~ so you dislike Halloween also. Your story about the tradition on November 5 is interesting. I could see people and animals being afraid, especially the animals due to the noise and fireworks. Once animals have that fear, it is difficult to change it. Thanks so much for your interesting feedback. Hi Susan ~ thank you. I think for me, I don't hate the entire preparations for Halloween. I can walk past decorations at a store for instance. But for some reason, the actual evening of Halloween can be very bothersome. And when I really think about it, it stems back to mainly two things, being scared by the neighbors and haunted houses. Thanks for your feedback and for sharing this. Hi Judi ~ I agree that the fear can be quite understandable, especially beginning in childhood. So you say Halloween is becoming more popular in the UK, that's interesting. It is extremely popular here. Thanks so much for your feedback! Hi Carol ~ Thank you so much for your feedback. I honestly never attributed how I feel about Halloween to it being an actual phobia. When I started researching, I kept thinking hmm, well, maybe . . . Very interesting. Glad you stopped by. Hi Sunnie ~ You are welcome, I'm so glad you found this interesting. I'm sorry to hear you have a son who hated Halloween. But it is more common than people think. Thanks so much for your feedback. Hello thewritingowl ~ Many people have never heard of this phobia. I will have to check out your article, sounds interesting. Thank you so much for stopping by. I was afraid of fearful costumes of Halloween when I was just a toodler, then, due to the stories told by my older brother and sisters. Here in the Philippines, kids are also adopting the Halloween costumes both and school and when asking for candies and other gifts during this kind of holiday. Thanks for sharing your personal plight about Samhainophobia. To think my nickname is INO (lol) (read: Samha-ino-phobia). Boo! Ok, sorry about that. I do love Halloween and don't think I've ever experienced Samhainophobia. My horrible phobia was of bananas. Yes, bananas. I wrote a hub about it a long time ago and it was even featured in a British newspaper. Sure, you think having panic attacks around bananas is weird. I did too. But phobias are 'irrational' fears! RealH - are you afraid of GUMMY WORMS??? This is very useful and interesting. Like others, I have never heard of this phobia before. But I think it's a great one to know as someone who often has to teach root words for test preparation. Thank you Justin for sharing this! Thank you Sharon for writing it! I'd never heard of Samhainophobia before reading this article, but after reading it, I could understand why some could fear this particular holiday. There are many, such as your neighbor who used to jump out at the kids, who intentionally try to scare others on this holiday and there is also much mischief that occurs around it. Am voting this up and interesting and am sharing it on HP, Facebook and Pinterest. I think it's an important topic that's rarely addressed. I never heard of this phobia before. What interesting information you have in here! My son is not going trick or treat this year because a neighbor took the "scared" to "fear" last year. I wonder if he will develop this phobia? thank you for this knowledge. It will come in handy for many of us. I do think it has a lot to do with Philip and Sonny. Sonny was a mean little ---- and they would chase me around with hands full of them, throwing them as I ran screaming. I was 5 man! lol I STILL remember how horrified I was, and I mean terrified. I would dream about that. I knew there were many people who suffered from a fear of Halloween but I didn't know the name of the phobia. I'm very thankful that I don't suffer from this, Halloween is my favorite holiday. voted up and interesting. Oh, Sharon, pore baby, so sorry to learn that you are a victim of this grievous ailment. It all could have begun when you were scared as a child by your neighbor or his son. You mentioned that 'When someone is covered in a full costume where you have no idea who is underneath, that freaks me out.' Could be an issue of losing control, but that's just a guess. The good news is Halloween only comes but once a year so visit a place outside the U.S. The ABC islands are nice this time of year! It never occurred to me that some people might have a phobia about Halloween that can be just as painful as any other phobia. Thanks for an interesting and useful article! Very interesting. I have never heard of this before. Your childhood experiences are interesting. I can understand why you don't like Halloween. I don't like to be frightened. I don't watch the horror flicks that are so popular. I have never liked haunted houses or fun houses at carnivals. They are eerie to me. But, I do not fear Halloween. I wouldn't feel bad about not participating in Trick or Treat of handing out candy. So what if you don't like Halloween. No one says you have to. Thanks for sharing this interesting and informative article. I don't have this phobia, but I can relate to you. I have trypophobia and it seems like there is no escape. One of my brothers isn't fond of Halloween because of Clowns. (I think there is a separate phobia of those..). There was a man who rode around our town all year in a clown mask and we would see him every where. Shortly after it the movie IT came out. He is a strapping Marine and only cracks when he sees a clown. Interesting hub! Wow - never realized you could be afraid of the holiday itself! Not one of my favorite holidays anymore as it's got too commercial for me - perhaps I have the fear?! Very interesting. I've never heard of this before; I'm sorry--how very sad for you. That is all over with, now, for her kids are 'too old' ... the youngest is a sophomore in high school, and would rather go hang with friends; the eldest just signed up for the Army...I miss it. This was such a resourceful hub, Sharyn. I made my kid read it as well. I like halloween esp the trick and treating but when people dress up with masks etc...then it throws me out! voted up as interesting hub. Wow, I'd never heard of this! I have a weird relationship with Halloween. I love it as a holiday, but scary pictures, movies, etc. can literally keep me awake for years. I watched The Ring in 2003 and I still can't sleep if I think about it! Yes, it's cheesy and I know I should be afraid of a movie, but I can't really do anything about it. But, at the same time, I love so many things about fall and the non-scary parts of Halloween that I just try to handle my unease and have some fun. It's difficult, though. I love Halloween; taking the grandkids out trick or treating, handing out candy, decorating the house. I can see a possible beginning of a fear of halloween, though - taking the young ones out for their first trick or treating trip they can be scared very easily. Lot's of carrying, hugs, carving pumpkins ourselves and then pointing out others' work as we go all helped. Dislike Halloween but love Samhain. I'd never heard of this phobia before but can certainly see how it could affect someone. There's a similar thing here on Nov 5th, when fireworks are let off everywhere on Guy Fawkes night. Some people are terrified, as well as the poor dogs, horses and farm animals who suffer over the few days before and afterwards. I've always thought that people that didn't hand out candy just couldn't be bothered to partake or it was due to a lack of money. A fear of Halloween is something I've never thought about. Sorry that this holiday does this to you. We aren't nearly so into Halloween in the UK as you are in the US (although it's growing here), but it seems quite understandable that children might be scared by it and that older/reserved/shy people might be worried about greeting strangers at the door. Interesting hub! Though I don't love Halloween I have never thought about fear. I have other ones to be sure. It is just one of those holidays I never liked. And I like holidays. Interesting hub and I learned some new things. Voted UP. Sharon this was so interesting and something I never thought of. Thank you for an interesting article. I had one son who hated Halloween and it really scared him as a child. Can't say I've ever come across this before but I enjoyed it. I love Halloween myself I have always had a mind that was interested in the mystical and the spirit world. Just wrote an article about the Irish Messenger of death myself i.e. the Banshee. Glad the phobias have names and explanations. I don't like Halloween either, (shshsh) but probably because being British we don't go into it as you do in t- he USA. I don't like the idea of ghosts and ghoulies and 'the dead' either - or celebrating with this at the theme. Very frightening. Very interesting. Voting up, pinning and Tweeting.